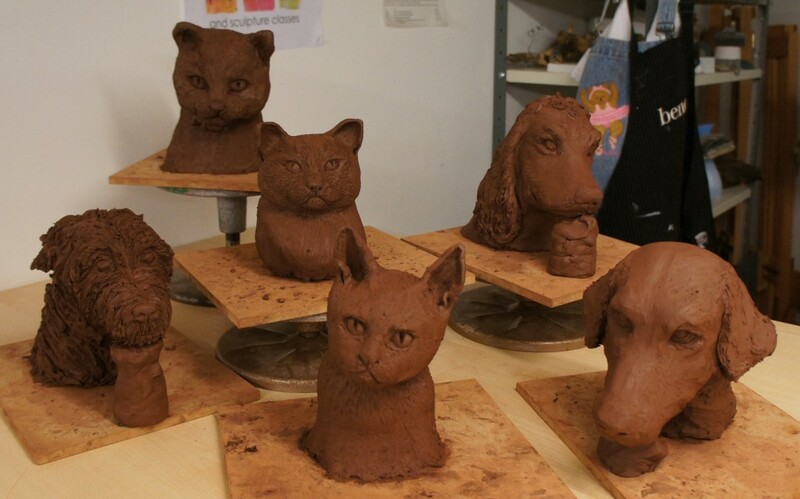 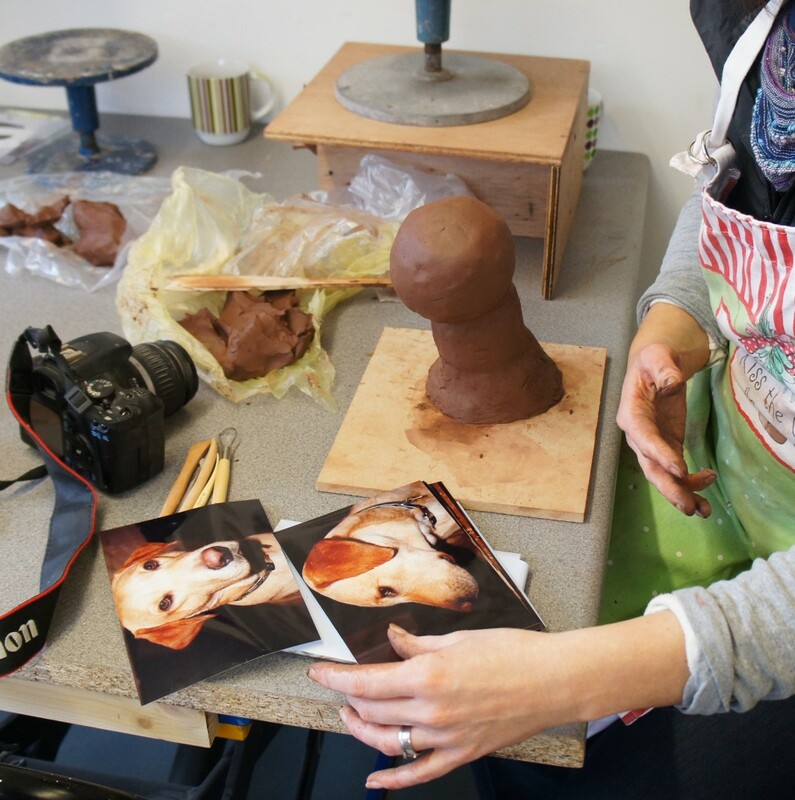 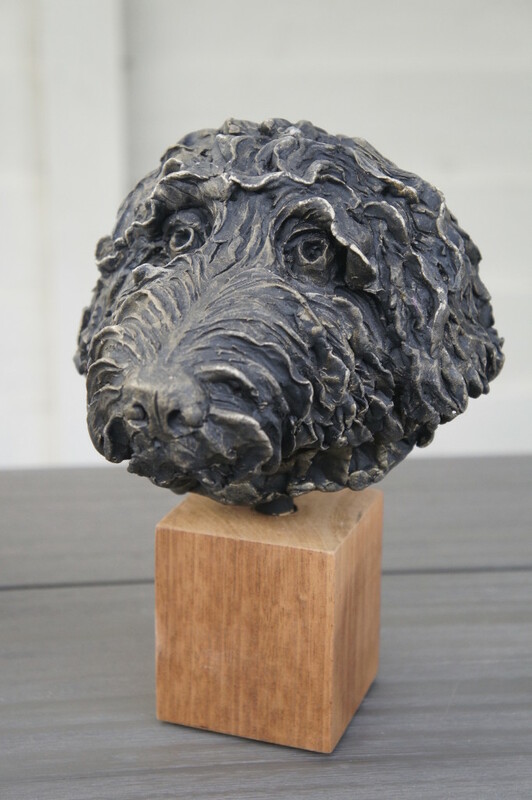 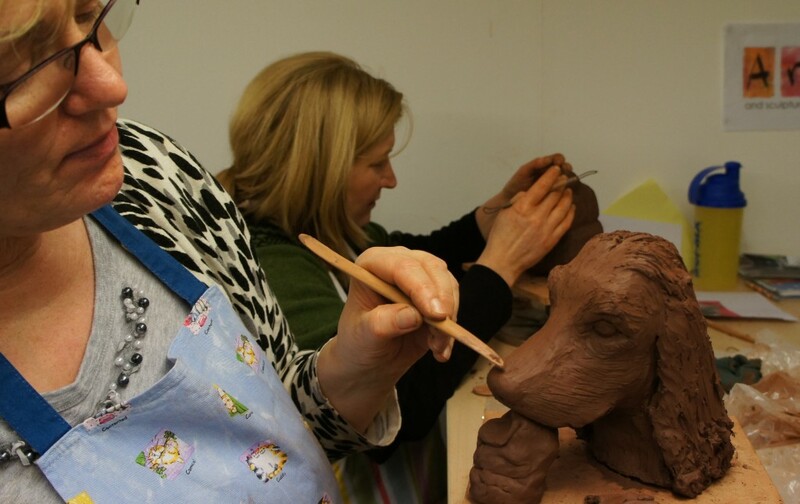 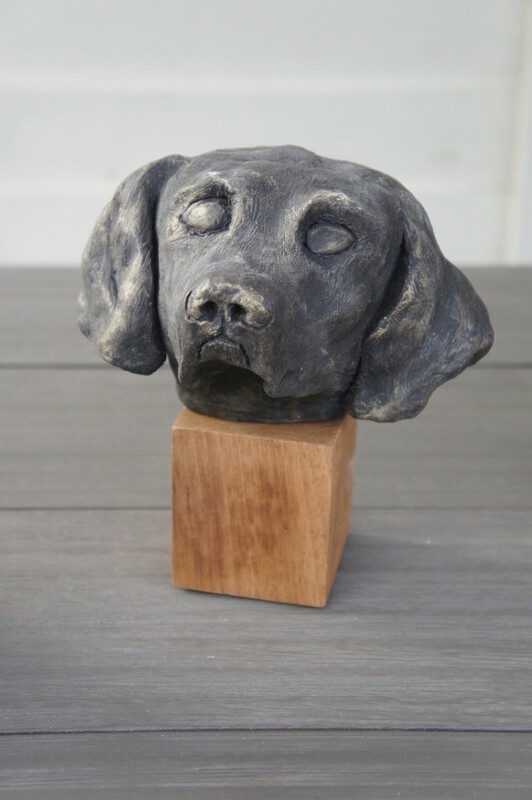 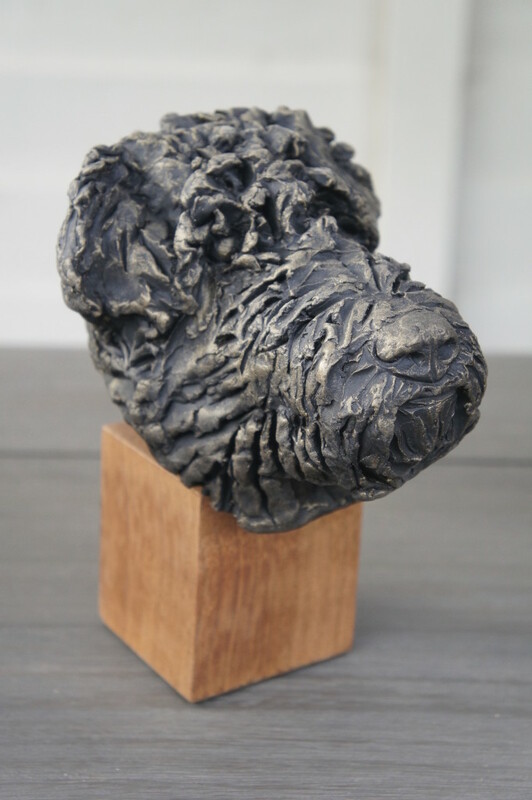 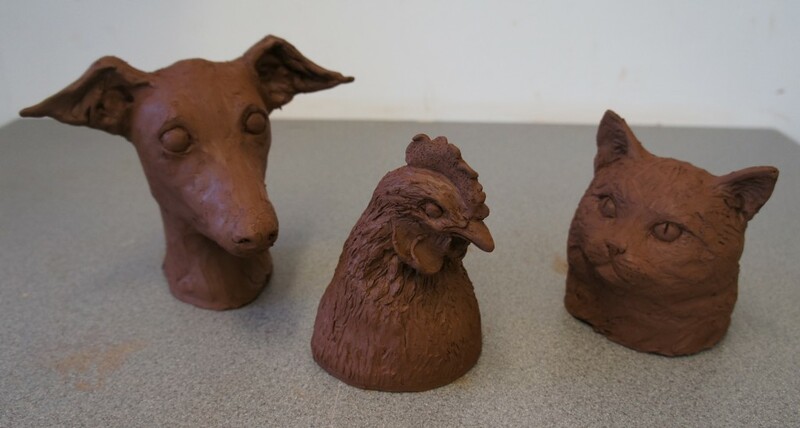 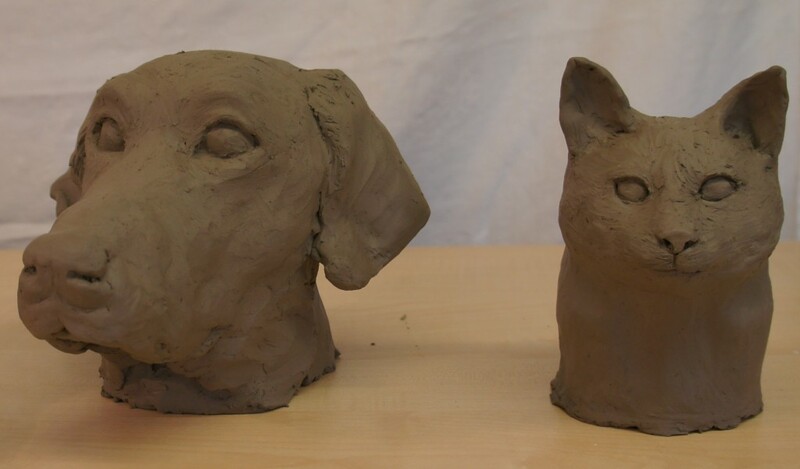 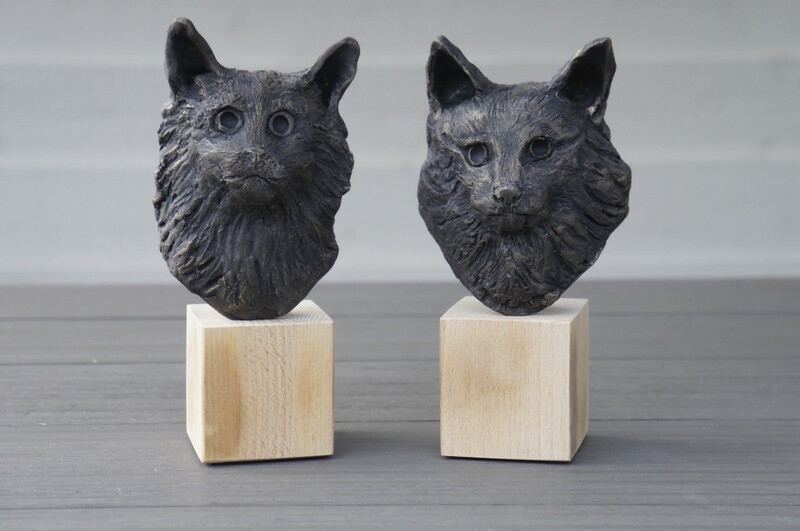 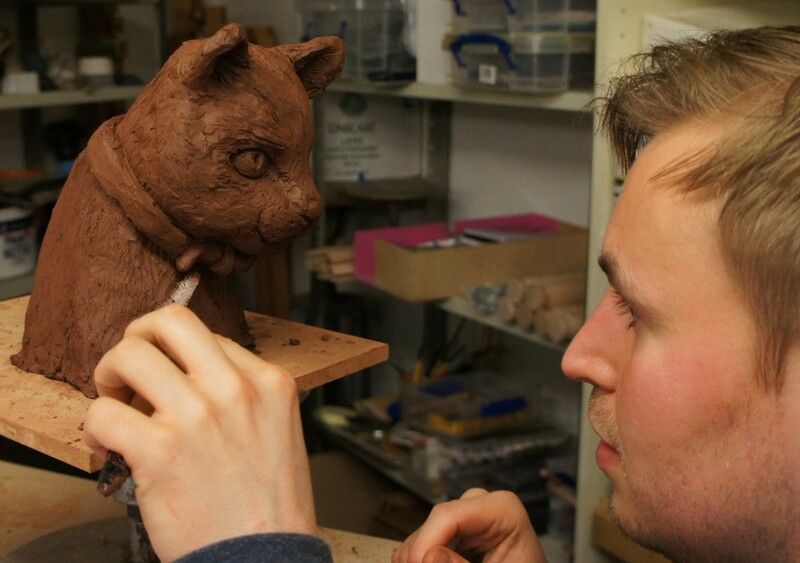 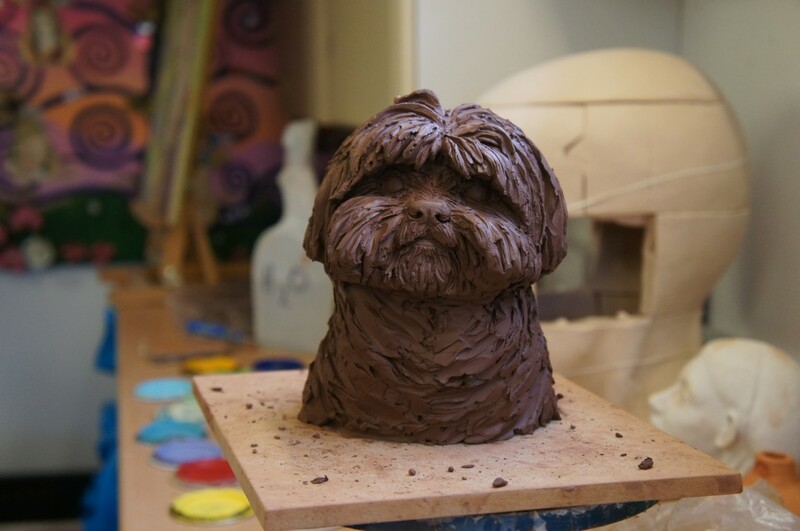 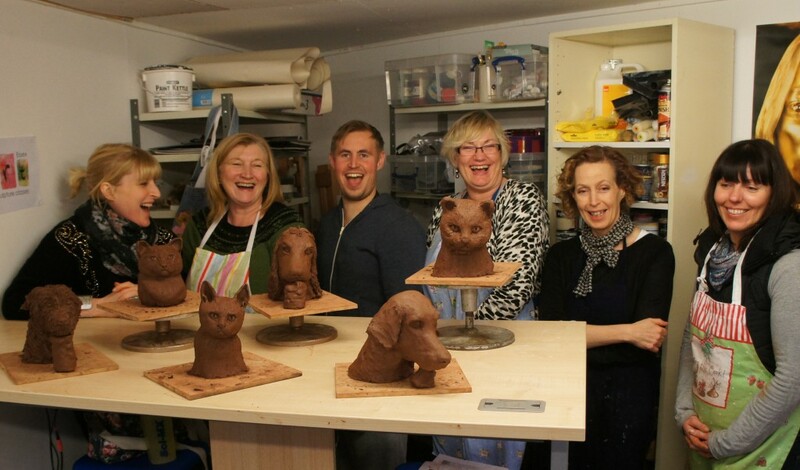 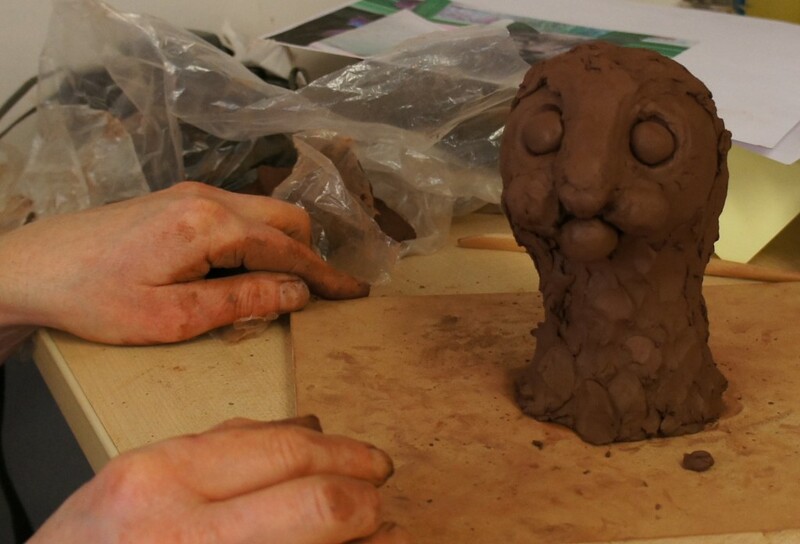 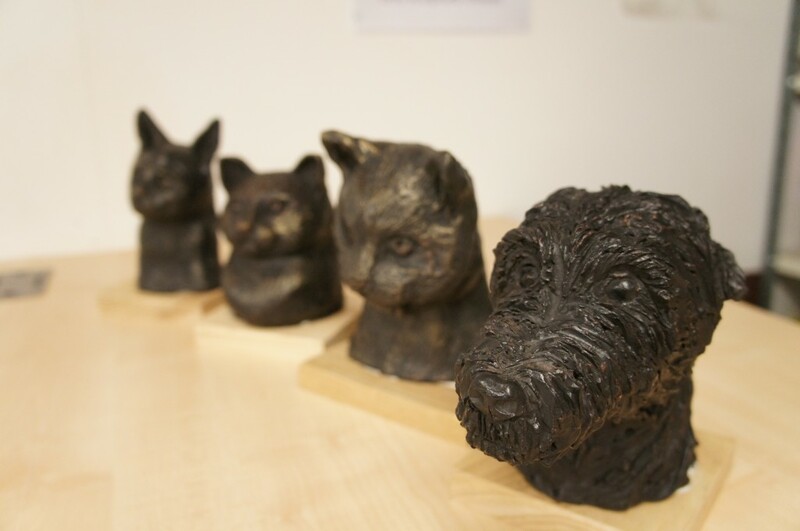 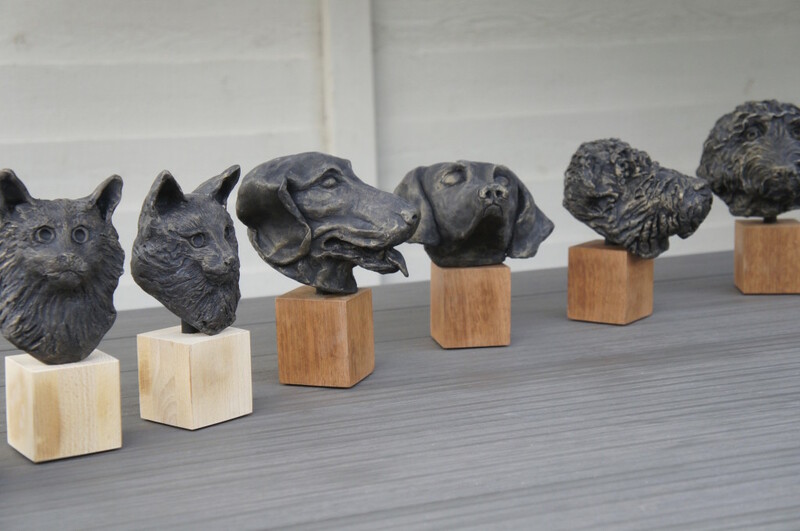 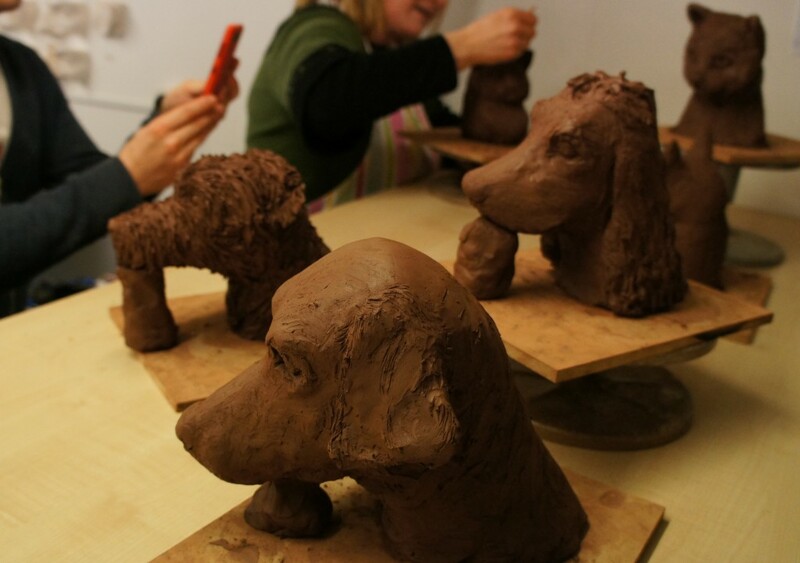 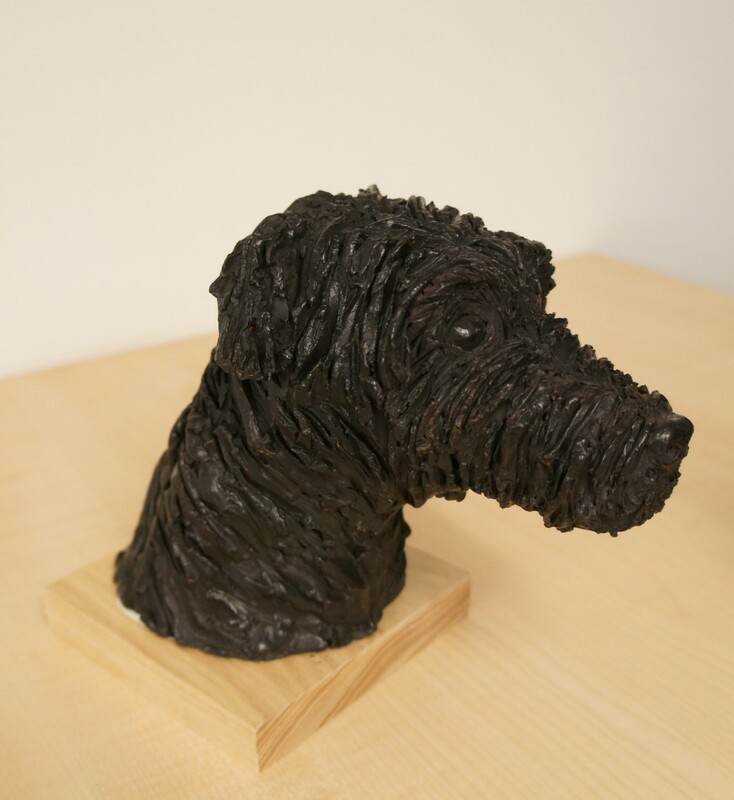 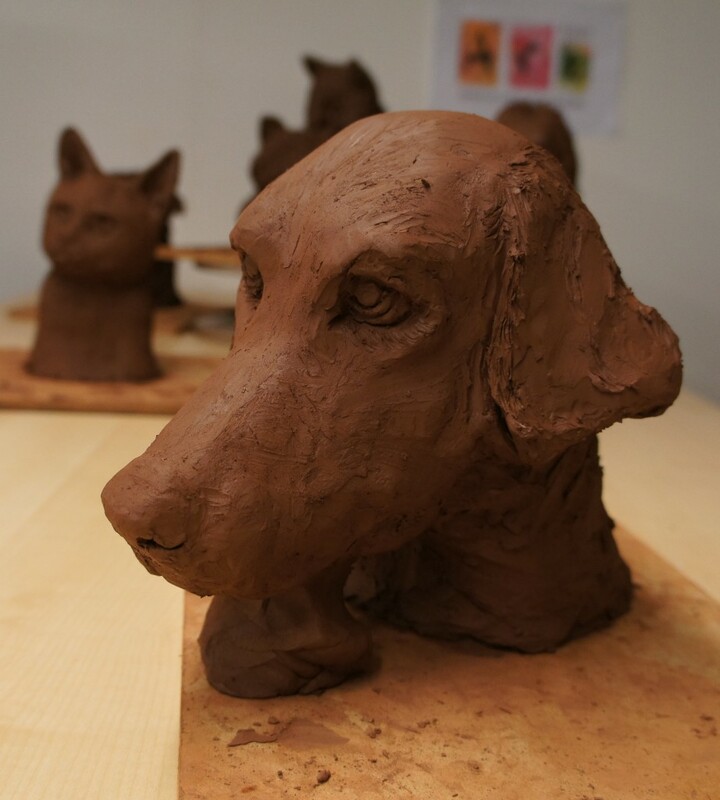 Sculpt a Pet Portrait This one-day workshop is aimed at those who just want to have fun and at the same time have a go at creating their very own pet portrait in clay. 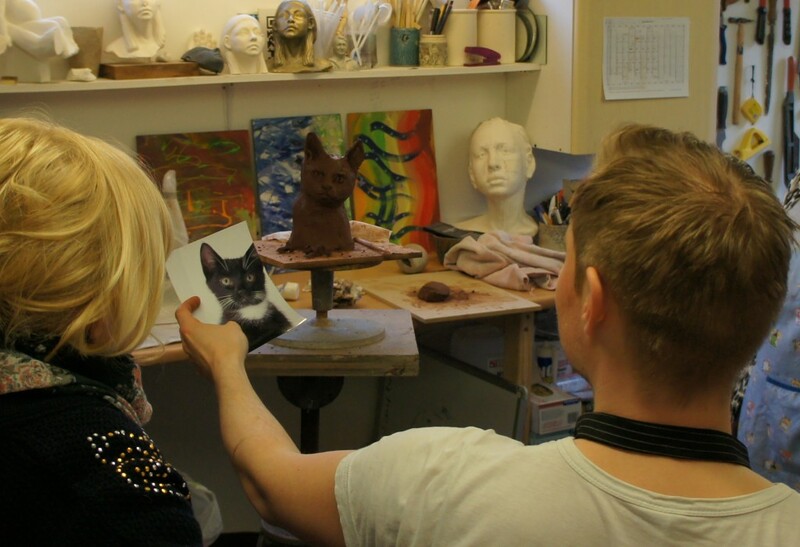 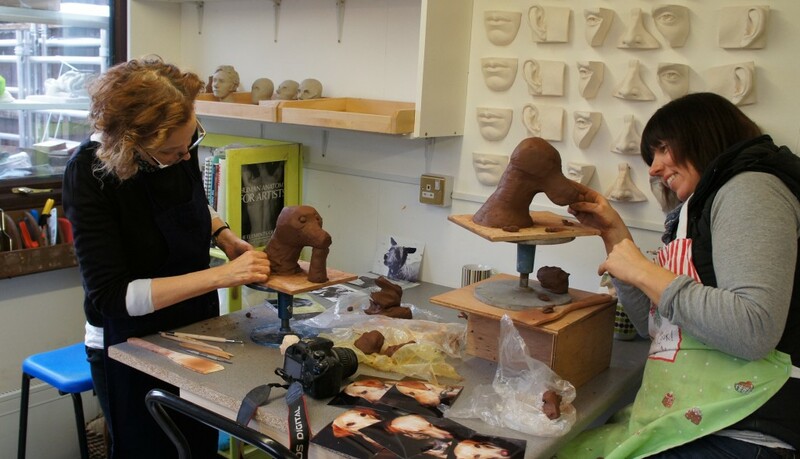 The class is taught with a step-by-step approach with lots of help from Billie, so even those who have never modelled with clay before, will be able to create a fairly life-like portrait. 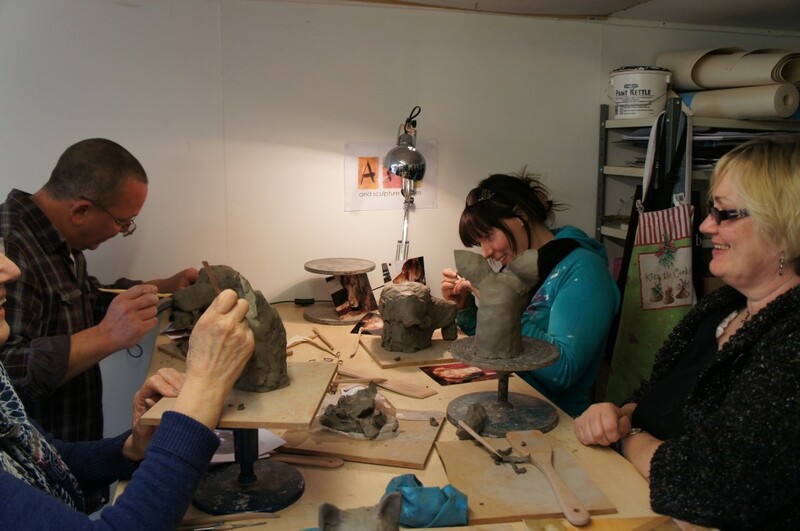 Ideal for groups such as family and friends or for individuals who want to be creative in a social environment. 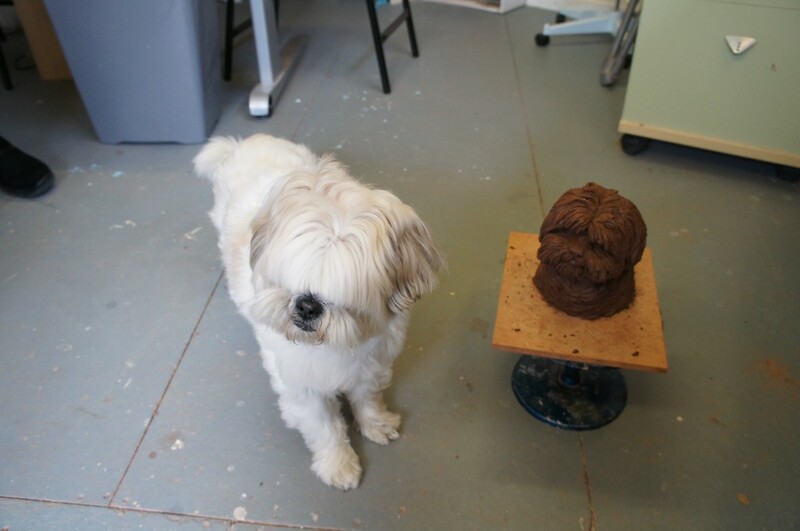 Bring photos of your pet for reference. 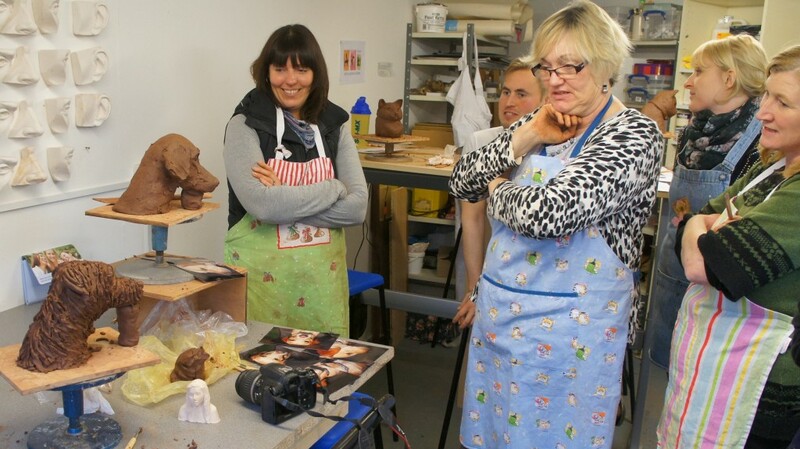 More details on information sheet, just click on title. 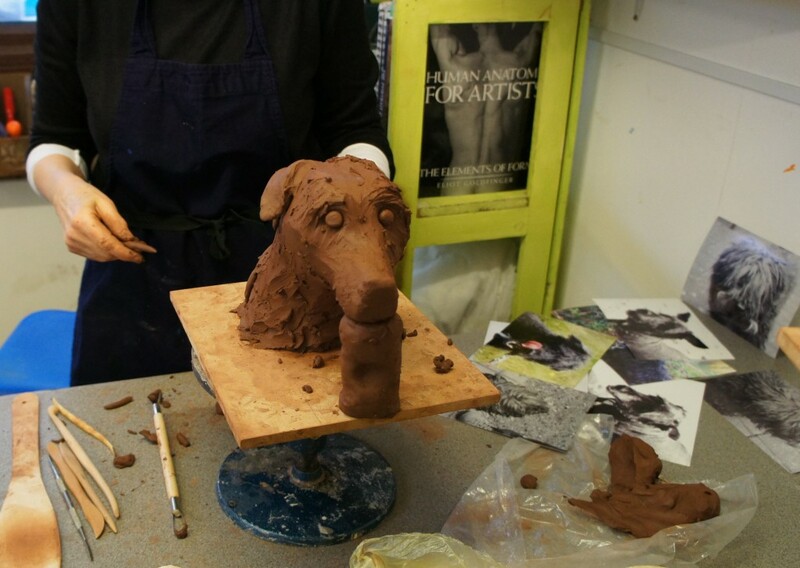 Class size up to 12, includes all materials, firing and Billie to paint and mount the sculpture onto a wooden plinth.